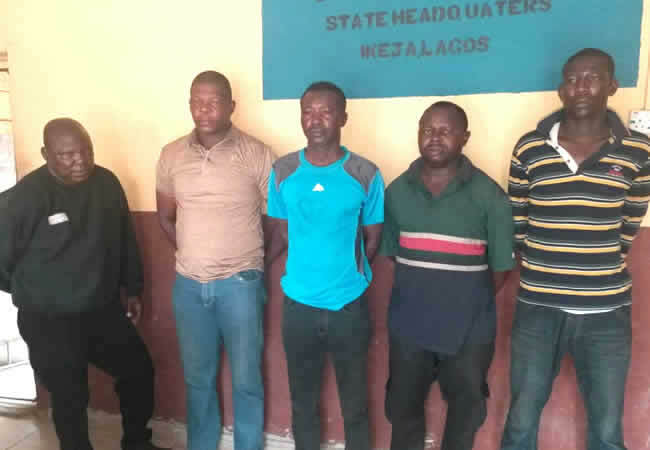 Operatives of the Lagos State Police Command have arrested five police officers and declared an Inspector, Dania Ojo, wanted, for allegedly shooting dead a girl, Ada Ifeanyi, in the Apapa area of Lagos. According to Punch, a Emmanuel Akomafuwa was said to have sustained life-threatening injuries as a result of the shooting that killed the 20-year-old girl. The policemen arrested were identified as: Inspector Adamu Usman, Sergeant Adeyeye Adeoye, Sergeant Kashim Tijani, Sergeant Lucky Akigbe and, Sergeant Paul Adeoye. INEC said this over the weekend in its reply to the petition filed before the Presidential Election Petition Tribunal by the PDP and Atiku to challenge the outcome of the February 23 election. The commission, through its lead counsel, Yunus Usman (SAN), said the results of the poll were never transmitted or collated electronically. The incident happened at Gboko, headquarters of Gboko Local Government Area of Benue. According to sources in Gboko, Torkuma, who was the first son of the PDP chieftain, was trailed by his assailants and shot dead when he was on his way back home after an outing with friends. The People’s Democratic Party (PDP) has won the four House of Assembly supplementary and re-run elections in Rivers. The elections were conducted in Abua/Odual, Ahoada West, Gokana and Opobo/Nkoro Local Government Areas. The Independent National Electoral Commission (INEC) cancelled the March 9, 2019 Assembly elections in the areas following electoral violence in the state. The Nigerian Air Force on Sunday said it lost an airman in a parachuting accident in Kaduna. The NAF Director of Public Relations and Information, Air Commodore, Ibikunle Daramola, confirmed the incident to the News Agency of Nigeria.